Keystone Quality Transport has been providing the highest quality non-emergency medical transportation in Philadelphia, Montgomery County, Delaware County, Bucks and Chester County. Specialty Care Transport Services (SCT), also known as Critical Care Transport (CCT), requires a licensed Registered Nurse to assist in acute to acute inter-facility transfers. Our SCT units utilize a high-tech/high-touch approach, creating a compassionate, medically sophisticated critical care environment utilizing state-of-the-art transportation equipment and highly trained critical care technicians. We provide Advanced Life Support by ambulance to seriously ill or injured patients. The advanced pre-hospital and inter-hospital medical care and transport by appropriately trained EMT-Paramedics. We provide pre-hospital or inter-hospital medical care and management of illness or injury performed by certified Emergency Medical Technicians. We provide medical transportation to the sick or injured patients who are considered Bariatric (obese or extremely overweight). Specially trained Emergency Medical Technicians in the transport and transfer of these types of patients. Wheelchair transports require a specially trained driver to assist handicapped/disabled patients or those wheelchair-bound but do not require medical care or monitoring. Keystone provides bed to bed wheelchair service and transportation for disabled patients, ensuring patients are personally escorted to the security of their receiving destination—never leaving patients unattended. Our service philosophy is to provide the utmost care to our patients, which includes bed to bed services. Keystone Quality Transport provides paratransit services, as well as fixed route services. Through our Transportation division, these services provide solutions to the mobility needs of the community, with care and reliability. We provide: • Flexible and fixed route services • Non-emergency medical transportation • 24-hour reservation and dispatch services • Vehicle maintenance We partner with communities and organizations to ensure passengers are provided with safe transportation, that is on-time and reliable. Whether the need is fixed route support or specialty door-to-door transport, our paratransit services offer cost-effective solutions, with the utmost quality and reliability communities need. Our Events Medical Services Division provides expertise in first aid and standby services to a wide spectrum of events from share holder meetings with groups of 5 to 500 to road races to community and sports events.Event Medical services are designed to be integrated with the services of local health care institutions and jurisdictional EMS providers. Our services are recognized and respected. 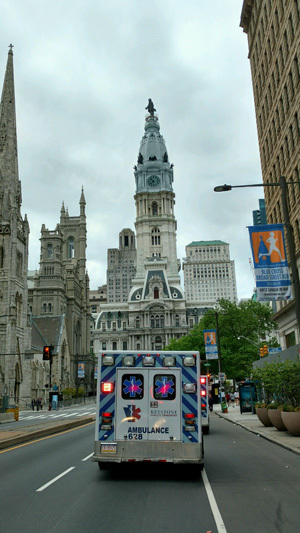 Keystone Quality Transport Has Been Providing The Highest Quality Non-Emergency Medical Transportation In Philadelphia, Montgomery County, And Delaware County Since 1994.